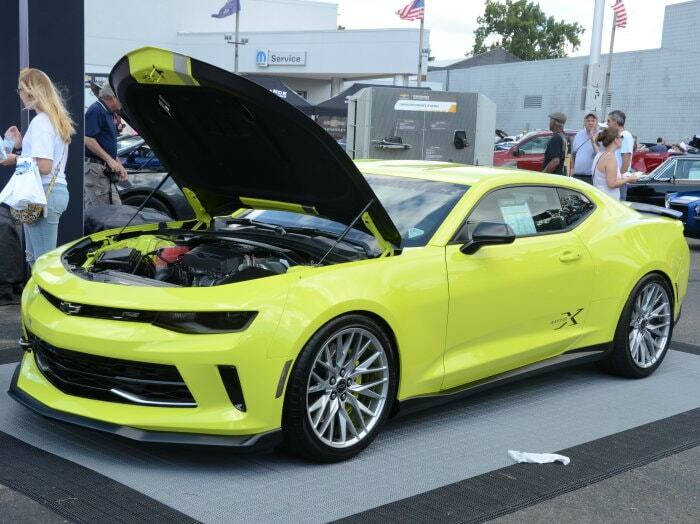 It is widely known that Chevrolet is working on a refreshed Camaro and it is expected that it will arrive for the 2019 model year. 2019 model year vehicles will typically be available no later than the fourth quarter of 2018, meaning that if the Camaro is getting a refresh for 2019, we would likely be introduced to it at one of the big auto shows early in the 2018 calendar year. We didn’t see a new Camaro in January in Detroit or in Chicago in February, leading many people to expect that the 2019 Chevy muscle car would debut in New York in late March. That would make sense, since a fall dealership arrival of the refreshed car would generally follow a world debut earlier in the year and New York is the last big show until Los Angeles in November. However, Chevrolet does not have a press conference on the schedule for this week’s media days, which makes the debut of the 2019 Camaro far less likely. General Motors has just one press conference scheduled for this week’s 2018 New York International Auto Show. That is for the Cadillac brand at 11:15am on Wednesday, at which point we will meet the next generation of the XT5 SUV. The newly announced CT6 V-Sport will also be showcased in New York, so it seems as though GM will be focusing on luxury rather than muscle – although the new V-Sport does introduce the world to the new twin turbo V8. Although the expected 2019 refresh of the Chevrolet Camaro will likely be a minor one, with adjustments made to the headlights, the taillights and perhaps the interior, but Camaro refreshes don’t happen all of the time and when they do – they come with some fanfare. If nothing else, a refreshed Camaro will get a press conference at whatever show plays host to the debut, and with no Chevrolet press conference planned for this week – it looks like the refreshed 2019 Camaro will not debut in New York. Although Chevrolet doesn’t have a press conference scheduled for the media days of the 2018 New York Auto Show, there is still a chance that the refreshed 2019 Camaro will be on display. It has become more and more popular for automakers to host events the days leading up to a major auto show or on the evening of a major auto show media day to introduce a new model. For example, the C7 Corvette made its grand debut on the night before the 2013 Detroit Auto Show, so while many people were seeing the car in Cobo Hall for the first time when they arrived for the first media day, the press conference had essentially taken place the night before. GM could do that with the 2019 Camaro, but would they really go through all of that for a refresh? It seems unlikely, but right now, that seems to be the only way that Chevrolet would introduce the 2019 Camaro in New York – unless they literally just put the new car in the auto show display without a big to-do.